Crest of the Zanzibar FA. Text on the back of the left shoulder. Coolest leopard print in years. 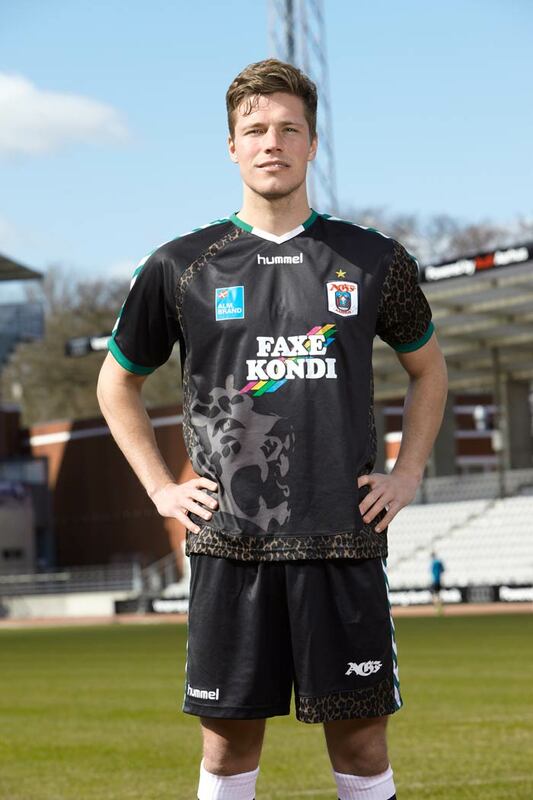 Aarhus FC and Hummel on April Fool's Day. I've been a bit busy with exams so I haven't posted anything in the last few weeks. During this time I've bought a China shirt to Brad, who has been selling part of his collection through eBay. But I return with this incredible Zanzibar shirt, the coolest one I have in the collection. Not the most beautiful, but the coolest shirt. When I wore it for the first time, my teammates asked me where did I buy that drag queen costume. 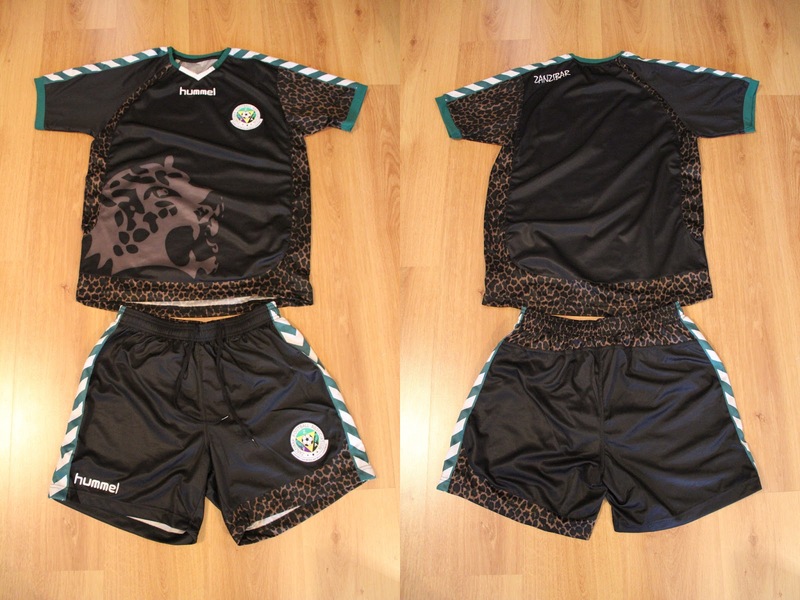 A shirt from Zanzibar, full of leopard print, made by Hummel and which costs a few pounds on Lovell Soccer. What else can you ask for?